Doctors of Osteopathic Medicine are fully licensed physicians who practice in all areas of medicine, emphasizing a whole-person approach to treatment and care. Our primary team work to keep you and your whole family healthy and strong each and every day. You'll feel welcome right from the start because we treat every patient with respect. You are not just one patient among others; you are a unique individual with unique osteopathic needs. Where did it all begin! Civil War Surgeon Andrew Still, MD (1828 to 1917) founded Osteopathy on the principle that the best way to fight disease was by naturally stimulating the body’s immune system. Personalized patient care is what sets OsteoEgypt apart. When you visit our clinic you can expect to receive world class care. Expert physician specialists and caring clinical staff provide you with an exceptional health care experience. 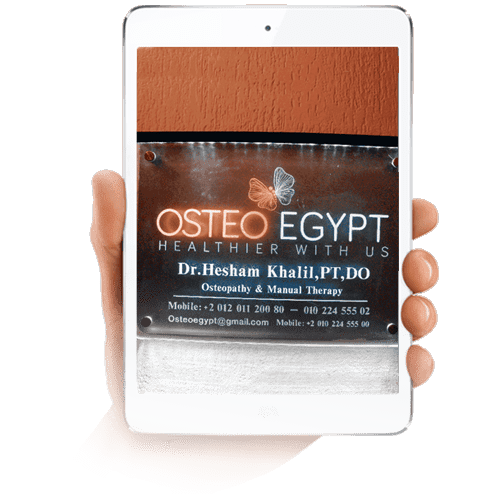 OsteoEgypt Clinic is a center set up and run by Dr. Hesham Khalil to promote osteopathy to the medical community and the general public and to ensure osteopathic excellence in Egypt and the Middle East. We want to give you the best treatment you can get. What Are The Reasons To Visit An Osteopath? Flat head or persistent misshapen head. You’ll feel welcome right from the start because we treat every patient with respect. You are not just one patient among others, you are a unique individual with unique osteopathic needs. The International academy of osteopathy (IAO) was established in 1987 by Michel Janssens (1995), Grégoire Lason and Luc Peeters. In that same year the first courses were started in Belgium, the Netherlands and Germany. Over the years, the IAO has developed into Europe’s largest academy for osteopathy. The IAO has sites in Egypt, Denmark, Poland, Belgium, the Netherlands, Germany, Austria and Switzerland. 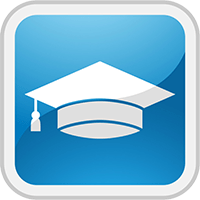 Our students can obtain the Diploma in Osteopathy (DO), the Bachelor of Science with Honours in Osteopathic Studies (BSc.(Hons)Ost.Stud.) and/or the Master of Science in Osteopathy (MSc.Ost. ).